Below is the foreword to The Language of Dissent, by Kevin Lents. (The foreword was written by noted Catholic author Donna Steichen.) Thanks to Mr. Lents for permitting me to publish this excerpt in my column. Click here to order a copy of the book. Society's memory is remarkably short. Relentless tides of new events swiftly wash away clear remembrance of the past. Most people are too engrossed in their own immediate concerns to focus for long on the particulars of someone else's problems. Continually entering the community are new adults who accept the reality they encounter as inevitable. This brevity of memory is sometimes a mercy. Families whose reputations are tarnished by public disgrace – criminal conviction, scandalous divorce, out-of-wedlock pregnancy, academic failure, bankruptcy – can find comfort in the assurance that detailed recollection of it will soon fade, to be forgotten in a few years. At other times, however, the swift erasure of the past is both astonishing and tragic. For example, during the era of the Baltimore Catechism, the faithful were so tightly linked in a cohesive and vigorous Catholic culture that one could ask an audience of hundreds of adult believers a catechism question – "Who made you? Why did God make you? How many Persons are there in God? What must I do to gain eternal life? Why must I be baptized? How many kinds of sin are there?" – confident that it would elicit a unison reply. As it did. While it is true that most of those who shared that common faith could not explain all the concepts involved with theological precision, neither could most children who memorized the multiplication tables explain the roots of the mathematical theory. But they had assimilated the tools they needed to proceed with their educations and their lives. As the situations to which the concepts referred arose in their experience, they could see what the words meant. It is hard to believe that a culture could forget such an ingrained body of doctrine in merely two or three generations. Yet today, in its place, one encounters vast ignorance among those who describe themselves as Catholics, even those who attend Mass weekly, receive the Sacraments at least sporadically, and have their children baptized within a year of birth. To ask rhetorical catechism questions of a group of hundreds of today's Catholics would stir up a cacophony of debate surrounding atolls of bewildered silence. How did this doctrinal meltdown occur? The circumstances combined excessive doubt of a layman's ability to transmit the substance of the faith with excessive trust in the authority of fallible human experts, resulting finally in the institutionalization of catechesis. Within the thriving Catholic culture of the time, catechetical instruction was the province of parish religious professionals, priests or teaching sisters, who were regarded as the experts in the teaching of Catholic doctrine. Often, these experts were assisted by trained lay volunteers. The entire process was identified as "Confraternity of Christian Doctrine," or "CCD." Parents answered their babies' earliest questions about God, taught them their first prayers, took them to Church to visit the Christmas crèche, and eventually, when they were duly enrolled in the parish CCD program, listened to them recite the rote answers to the weeks' catechism questions. But they too modestly believed that the teaching of doctrine, like the teaching of reading, was work for experts, who know both the sacred content of the faith and the mysteries of how to teach it, and who were honored and trusted absolutely. With occasional lapses reflective of a given teacher's biases or blind spots, the system worked well, as long as the experts' certitude about the faith remained unshaken. But with the coming of the age of change in the 1960s, those authorities seemed to grow restive in their smoothly running catechetical empire. Trying to breathe into it a spirit of greater excitement, they sidestepped the profound questions about God's Being, His Creation, and the purpose of human life that the traditional catechetical method had engaged, and instead began to emphasize the faith as kerygma or "Good News." The revelation of our salvation through Christ is certainly the best of all good news, but the rather fuzzy presentation of Jesus Christ as "the Man for Others" left many of the catechized with no clear idea of how this Man was different from other admirable men who were not the Only Begotten Son of God. In the tumultuous wake of the Second Vatican Council, catechists grew vaguer, as an endless succession of colorful new textbooks presented the Catholic faith as creedless, undemanding lens through which to examine the students' individual experiences. Soon, even the terms "catechism" and "CCD" were replaced, and the new and shrinking programs were generically labeled "Religious Education." By this the time, many parents were alarmed that their children were not learning such basic elements of doctrine as original sin, the Ten Commandments, Christ's death as the essential means of our salvation, the origin and authority of the Church, and the sacraments. When they turned for answers to the parish teaching authorities, they were told to stop worrying, that the "new catechetics" was simply a more vital way of teaching the same old truths. To resist such change was to be inflexible, closed to nuance and new ideas. So began the withering of congregations, the departure from regular practice of enormous percentages of the body of the faithful, and the abandonment of precise definition not only in doctrine but also in what constitutes membership in the Church. 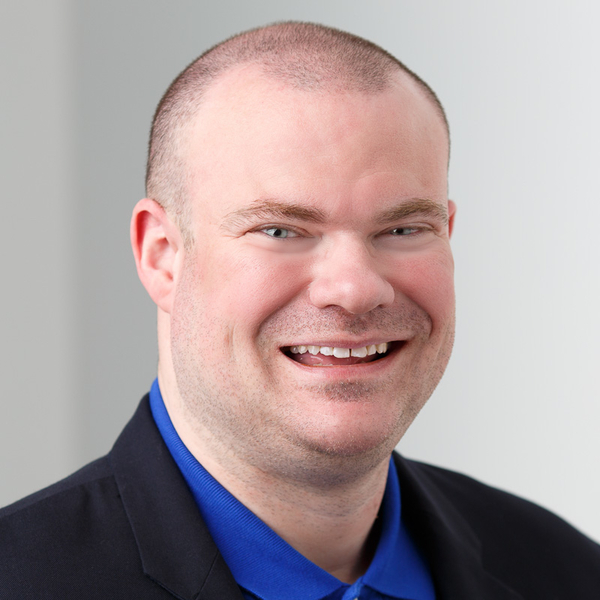 The author of this book, catechist Kevin Lents, is himself a "revert" – one of the many Catholics who grew up without sufficient catechesis to understand what they were discarding when they ceased to practice the faith. Even among faithfully practicing Catholics today there can be few if any who do not regularly encounter the assertions of dissent that Lents addresses here. They may, indeed, have heard them from the pulpit of their parish church, or the lectern in their RCIA or college theology class. Certainly these statements have become the common coin of conversations about religion: It doesn't matter which church you belong to as long as you are kind to each other; since Vatican II, the Church no long teaches the doctrine of purgatory; Jesus did not know He was God; there are errors and contradictions in the Bible; Adam and Eve are mythological figures; we don't know who really wrote the Gospels; Humanae Vitae is not infallible because it was not declared ex cathedra. Every reader will recognize them. 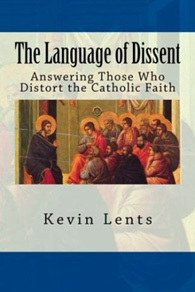 In The Language of Dissent, Kevin Lents corrects these familiar statements of dissent by citing the authoritative sources of doctrine in Scripture, the Fathers of the Church, papal encyclicals and the Catechism of the Catholic Church. Every bewildered Catholic or prospective Catholic, every pastor and teacher of the faith, will profit from reading this book, and keeping it at hand on his desk for reference. It offers invaluable help in rebuilding of the Catholic faith and culture that must remain at the center of our responsibilities as 21st century Catholics.